Perhaps you have a room that you don’t use because you are unsure of its purpose and how it fits with your lifestyle. Possibly the furniture is not suited to what you actually need. We can help you by offering suggestions as to what furniture solution would work. We can even re-upholster or refurbish existing furniture if you like what you have but it needs updated. Often furniture showrooms fill you with dread because either you cannot find what you want or you just don’t know what you want. Simply Interiors can bring brochures to you and offer recommendations about what might be suitable. Let us do the legwork and you can simply choose what is right. Do you have an open plan design of room that you don’t know what to cover the floor with? Do you have a light and airy hall that needs a carpet but you don’t want plain beige. Perhaps you crave something more unusual as well as practical that you can’t source on the high street. Simple Interiors have samples and brochures with a wide range of coverings including, not just carpets, to suit all requirements. We work with a team of trustworthy and respected fitters to fit your floor as well. 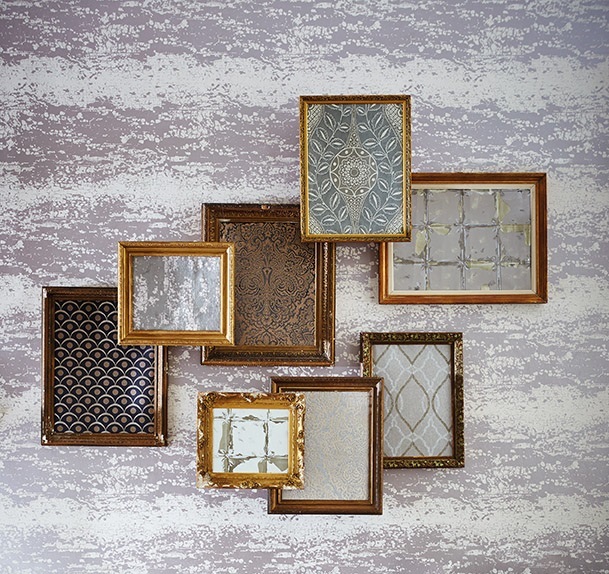 We always carry a large stock and range of wallpaper samples to fit any parameter of budget. We aim to make the experience of choosing a wallpaper pleasant and hassle free to ensure you get the perfect design. Simply Interiors can advise on colours, patterns, feature walls and even fabrics to ensure the look you are aiming for is achieved. We have contemporary and traditional books of samples and there is sure be something to suit all tastes. We appreciate one persons dream vision is another’s nightmare and thus our aim is to get to know you well enough to know what your tastes are and what will suit. Fabrics add softness to a space and contribute to creating the right atmosphere within a room. At Simply Interiors, we can re-upholster sofas or chairs to match your the new colour scheme and design. We often create bespoke pieces to complement curtains and carpets. In bedrooms, we can use elegant and luxurious fabrics to create bedspreads, cushions and throws to make your bedroom a restful sanctuary. In living rooms, we have designed beautiful footstools covered in fabric, which are practical yet aesthetically pleasing. 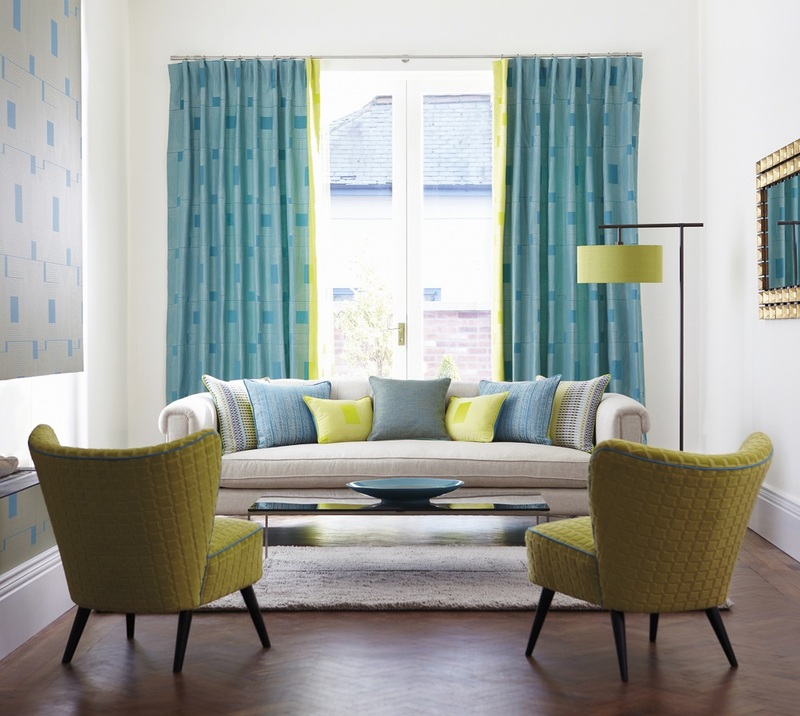 We can design and provide curtains, blinds, pelmets and other window dressings in a vast range of fabrics and textures. All our work is made to the highest standards and can be fitted by our own team of skilled fitters. We can make all styles of curtains (and upholster sofas and cushions if you wish) and blinds. If you have seen a style you admire, let us know and we can work together to create something uniquely yours. Whether you require one small set of curtains, a single blind or a whole room dressed, Simply Interiors can assist and would love to work with you to achieve your vision. It is often the final touches to a newly decorated or designed room that bring it to life and allow it to make a statement. Simply Interiors can guide you and source the perfect accessories such as lamps, lighting, mirrors, pictures, pieces of art or rugs to show off the room to maximum effect. Designing your bespoke bathroom and or kitchen need not cost a fortune. Simply Interiors can show your brochures and samples and offer ideas to create a stunning bathroom or kitchen that fits all your needs. Perhaps you don’t have the time to visit showrooms and decide what you like. Let Simply Interiors come to you and make it a much less stressful journey. We can advise on sanitary ware, worktops, accessories, wall coverings, floor coverings, electrical appliances as well as any soft furnishings. In short – anything you need, we can source it!